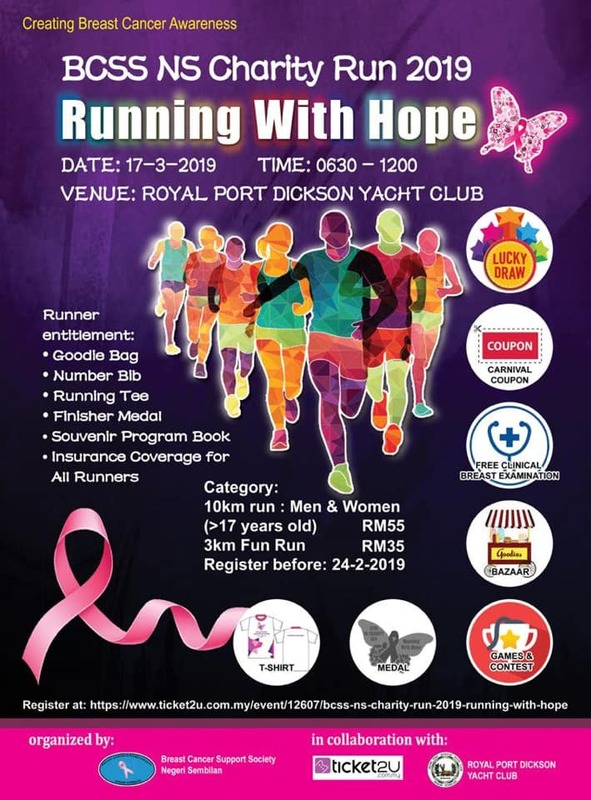 The Breast cancer Support Society N. Sembilan (BCSSNS) was formed and conceptualized in Jan 2010 with one of its main objectives is to provide emotional, psychological support and hope to cancer patients, their families and instill in them there is hope for tomorrow. The society is also dedicated in educating the public on cancer awareness, particularly breast cancer and the importance of early detection and healthy living. This event aims in collecting funds to run the society and its activities for the benefit of the community. Your support means a lot to us. This event aims in collecting funds to run the society and its activities for the benefit of the community. Please help spread the word. Thank you! To Donate, just click on the "Donate Now" button. But if you are participating in our charity run, please fundraise for us! You can do that by creating your personalised fundraising page by clicking on the "Fundraise Now" button.